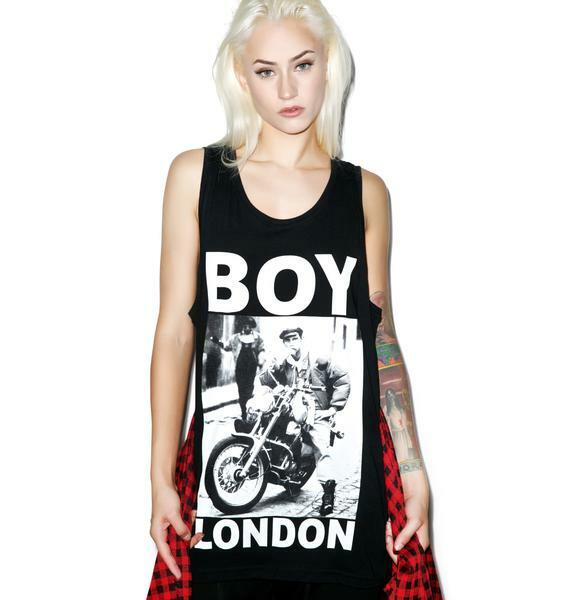 BOY London Cafe Rider Standard Tank, cuz yer a real ride or die chick. 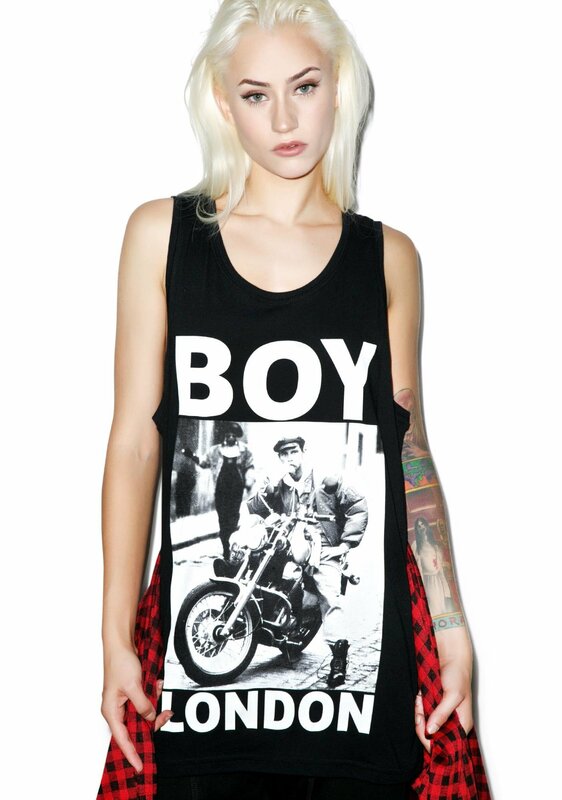 Take it to the streets in this super sikk tank top. 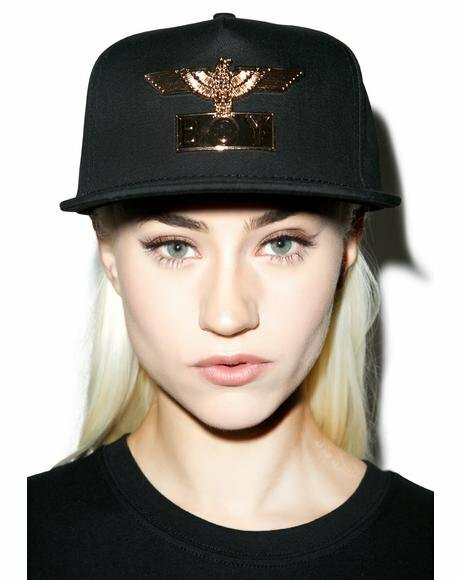 Featurin a cool relaXXXed fit and classick BOY LONDON logo with a dope pic of a dapper dude on a motorcycle back in the day. With softest material around, classick scoop neck and open arm holes to keep ya comfy while riding thru town with the wind in yer hair. This badazz BB is ready to go for a ride with yew!